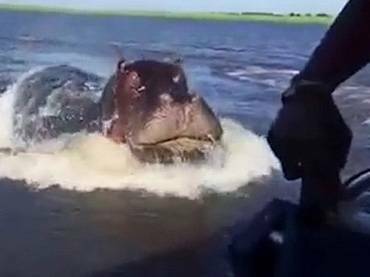 The hippo is considered one of the most dangerous animals for humans, but when it comes to safari speedboats invading their river homes, is the hippo the predator or the prey? 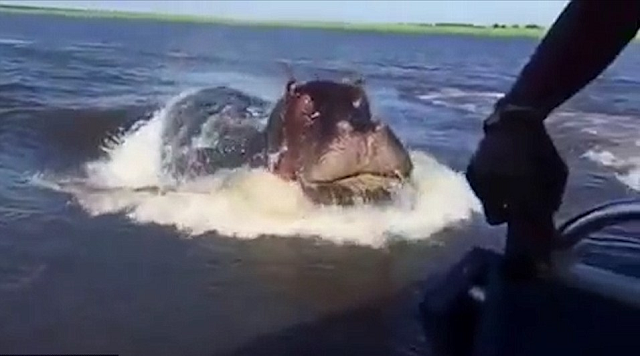 An incredible video clip on YouTube showed a hippo’s speed as it stalks, then lunges at a safari speedboat at the Kafue National Park in Zambia. Just as it gets close enough to attack, the boat manages to pick up speed. 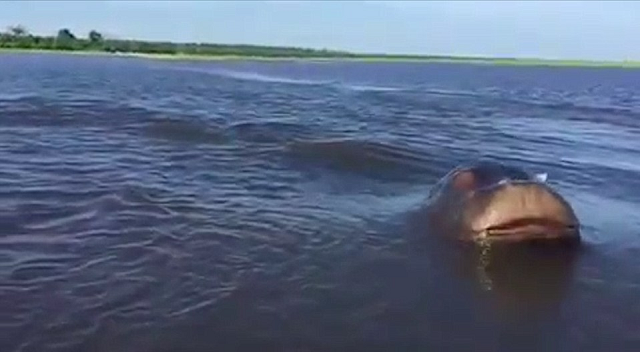 Based on the footage, it seems that the hippo, who’s not too happy about people invading his territory, sees the boat from the distance and swims closer. 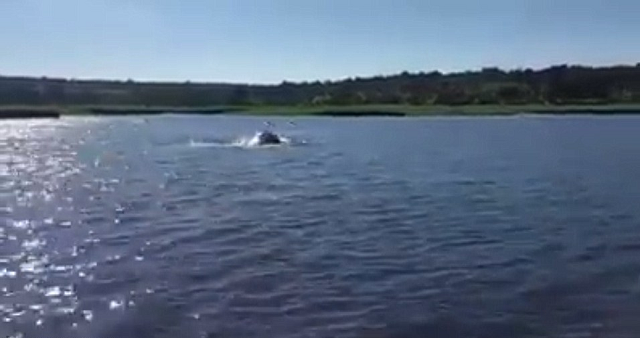 The gigantic animal can then be seen launching out of the water, just feet away from the boat. The footage was made by Michael Varndell, who is the managing director of Malawian Style, a company that offers safaris and holidays in Zambia and Mozambique. The hippo encounter was not Varndell’s first, either. He shared that at some point, he was “chased” by two separate hippos in two different parts of the river, one of which has a baby. Like many other animals, hippos become aggressive when they feel threatened or when they feel the need to protect their young. 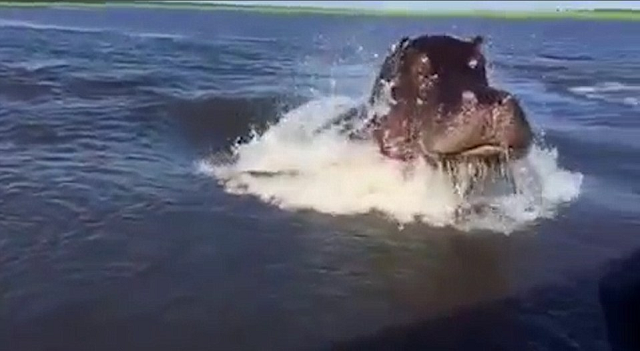 There is no clear indication why the hippo in the video decided to take a closer look at the speedboat; however, the water giant disappeared in the depths of the water afterward. Largest Bat in the World — in the Philippines! Luxury is fluid as no single item remains the most expensive throughout the years, especially cars.